A professor at the Asia Research centre at Australia's Murdoch University in Perth, says it's highly possible complimentary legislation - aimed at restricting how foreign reporters cover news - may follow the proposed media decree. Professor Gary Rodan told Radio Australia's Pacific Beat that the regulations in Singapore eventually led to the strategic control of all domestic media in that country being in the hands of government-linked companies. It had originally started with newspapers. Asked if there was a danger such laws could encourage the media to become more closely aligned to the government in Fij now that the interim government has adopted the Singapore model, Rodan said the potential was obviously there. Rodan went on to tell Pacific Beat's Bruce Hill that there is not much holding to account of the government in Singapore. He says the domestic media, particularly the daily English language newspaper, The Strait Times, the editor and the editors over time have been quite clear that they see themselves as part of a nation-building exercise. Rodan says this means they don't claim that they have completely unrestrained free press or any obligation to provide that. Instead, they see themselves working in concert with the Singapore Government and refer to this as responsible media. Says Rodan: "If there is any accountability, I think it would not be unreasonable to say, that to some extent the media is accountable to the government for what it does and its senior editors don't have a real problem with that, and the appointment of editors and senior people in these media organisations is considered a very sensitive political and strategic exercise and is approached accordingly by the Singapore Government." When asked about the Fiji model, Rodan said: "I would be concerned if I was a Fijian who wanted to see a robust and free domestic media." 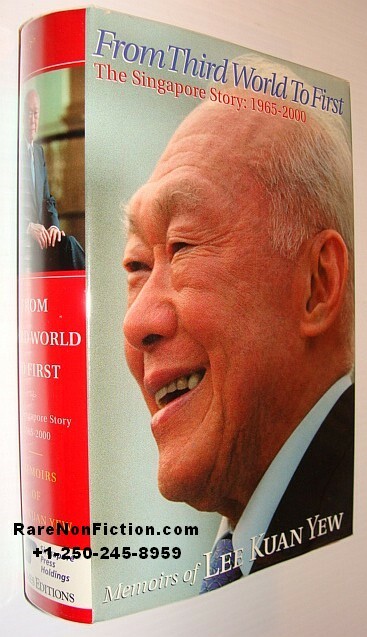 He added: "One also has to keep in mind that the other dimension to the media and the way the media operates in Singapore is how the international media has conducted itself. They have not been able to escape quite tight controls in Singapore, so foreign correspondents and reporters who may be writing for organisations that are not based in Singapore have been affected by these controls as well. "So it may not, if the intent in Fiji is to follow the Singapore model, there may be complimentary legislation down the track that would be intended to tighten up on the way in which foreign reporters might be reporting news or interpreting news and it might not just be an agenda that is directed at local ownership." The decision by the illegal regime's attorney general, lawyer, Aiyaz Sayed-Khaiyum, to adopt the Singapore model has been widely criticised this week by New Zealand and Australian media, NGOs and Fiji citizens. Usaia Pita Waqatairewa, the president of the Fiji and Democracy Movement, described the decree as predictable and unoriginal on his page on the Matavuvale blog, saying he'd read the blueprint - Lee Kwan Yew's book, From Third World to First, in 1998. "Reading it will open your eyes to their grand plan," says Waqatairewa. "Only problem is that Singapore is not Fiji. We are not strategically located in the Strait of Malacca and we have an indigenous majority population." 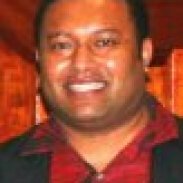 Waqatairewa (pictured above) says self-appointed prime minister Frank Bainimarama and Sayed-Khaiyum had borrowed heavily from Lee Kwan Yew because they didn't have the vision to come up with something original of their own. Editor's note April 19: An earlier version of this story wrongly attributed Pita Waqatairewa's comments to someone else. Apologies for the mistake. Censorship reflects a goverments lack of confidence in itself - it is and always has been - a hallmark of all repressive regimes.